How to value an enterprise? This certainly is a challenge. Valuation processes are rather a bothersome struggle than an enjoyable way to walk. This is certainly annoying and perhaps unnecessary. Avoiding valuation tasks is not an option. Because enterprise valuations are required for many reasons. For instance in the case of a business transfer (sale) to an internal successor (Management Buy Out), an external successor (Management Buy In), the buy in or buy out of shareholders. But also in the case of a divorce or a succession to a new generation within the family. Or in the unfortunate situation of tax disagreements. Often, the appraisal of a firm leads to many disputes between the different stakeholders: the persons (or entities) who have an interest in the outcome of the valuation process. So, one could conclude that the valuation process is inadequate to serve its goals, i.e. to come to an acceptable valuation outcome and to resolve issues or disputes between stakeholders. Choice of the valuation method. Many techniques are available and in use. Some of them are simple but give inaccurate outcomes. For instance asset based methods or past earning based approaches. Others, like the Discounted Cash Flow methods, are theoretically more correct. But these are -generally spoken- time consuming and therefore costly. So, the choice of the valuation method needs to be in proportion to the objective of the valuation. Technical issues. Once a (or more) valuation method(s) has (or have) been selected to value the enterprise, the technique should be applied correctly. 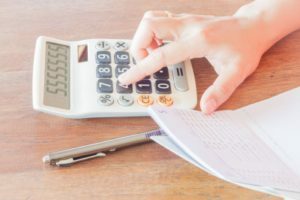 Due to a lack of knowledge, mistakes in properly applying the appraisal technique are more a rule than an exemption. Valuation of a firm is based on facts and assumptions. Some facts may have a disproportional weight, while others may be neglected too much. And the weighting is subjective in nature. Some assumptions may be realistic and some may not be convincing at all. Elaborating a proper set of starting points is often neglected too much. I would say that more than 80% of the work is in building such a set! And less than 20% is in the calculation. Valuation process. The adequacy of the valuation process is based on a mutual understanding of the firm and the internal and external factors that thrive its value. Often, stakeholders focus primarily on the valuation outcomes. This without taking sufficient time to understand the underlying basics and assumptions. If so, the appraisal process is rather frustrating than problem solving. My major goal for developing this website on the value of an enterprise was to contribute to such adequate valuation outcomes. And I sure hope that this website will serve this ambition.